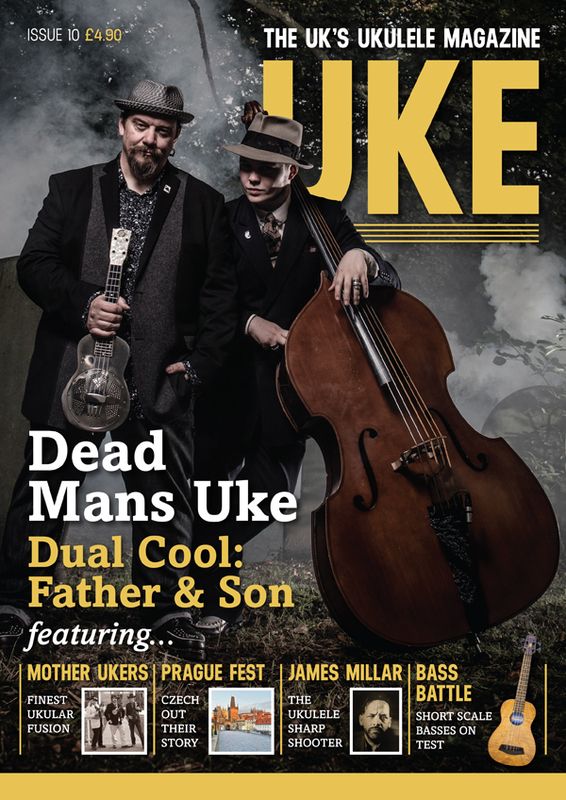 Issue 10's June 2017 release represents a strong start to UKE Magazine's third year as the UK's only dedicated, printed magazine for ukulele players. 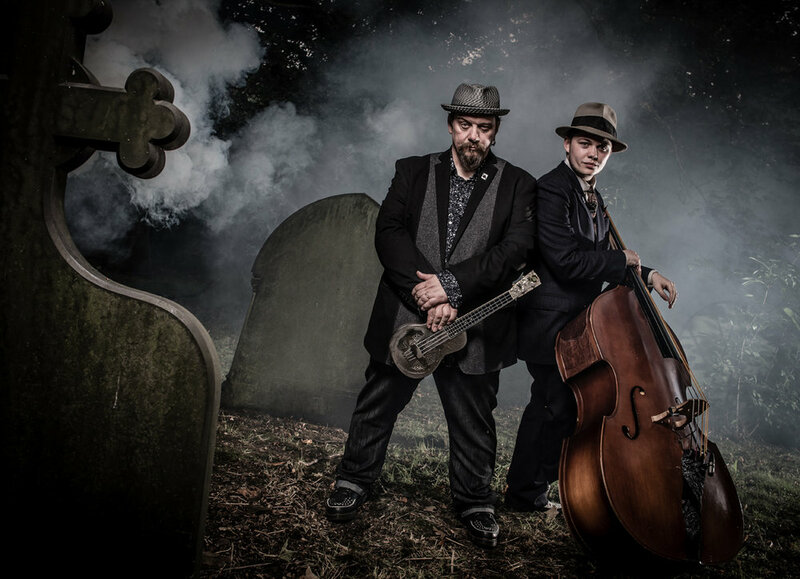 Headlining this issue are Dead Mans Uke, a father and son team who demonstrate just how cool the ukulele can be with their swinging, bluesy style. Also interviewed is another fine live act, professional outfit Mother Ukers, who explain how their lively performances have led to them making their living doing what they love. 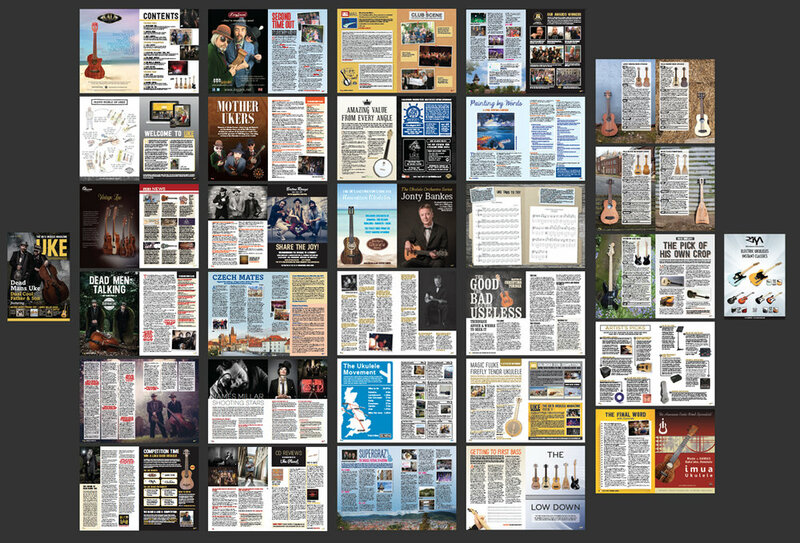 In our series of interviews with members of the Ukulele Orchestra of Great Britain, Jonty Bankes is the man on the bass, while we also meet the man behind the camera of ukulele star photoshoots from Manitoba Hal to Jake Shimabukuro, the talented James Millar. 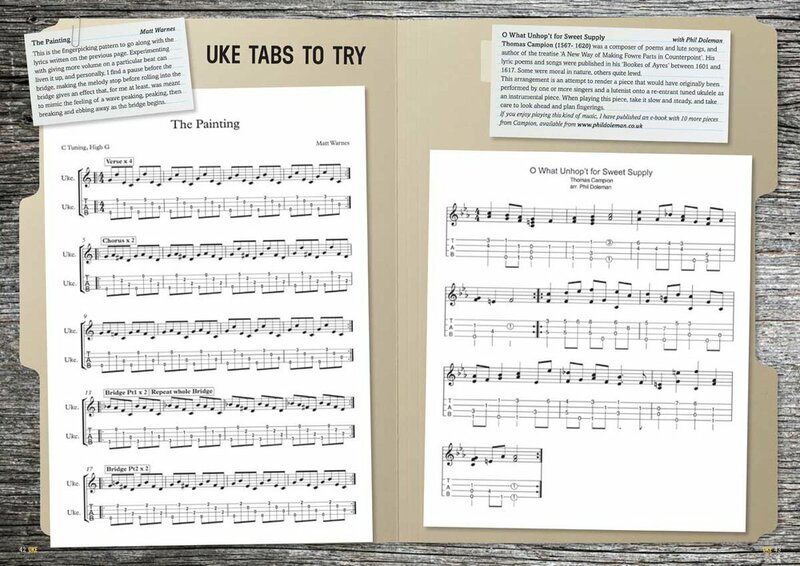 We have an article on great ukulele advice and where to find it, a lesson from Phil Doleman and an exercise to do at home on writing your own song lyrics. 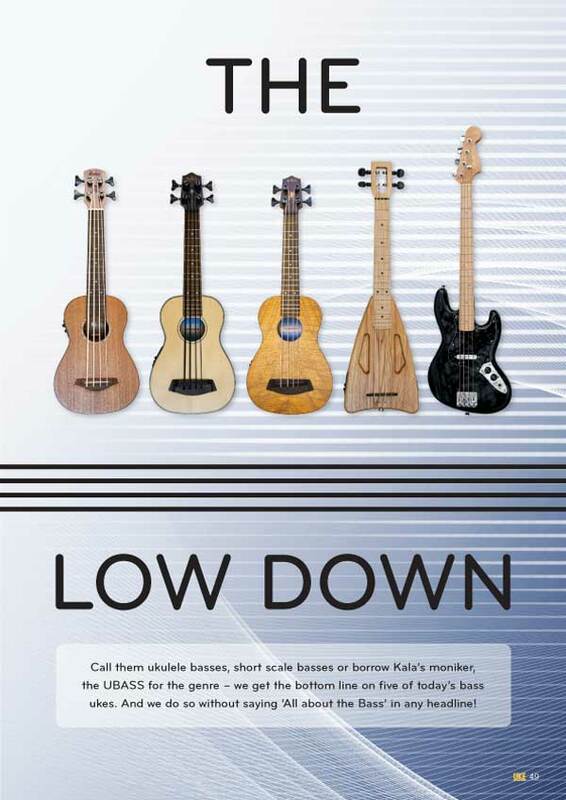 Gear is not neglected either, with a look at 5 of the market's best bass ukuleles and also, a peep at the new Magic Fluke tenor banjolele, plus a whole host of other features including a preview of the Czech Ukulele Festival, review of the Austrian Ukulele Festival and lots more besides.